As mother of three Children on Mothers day I often feel left with the Same gifts year on year . I am not a fan of Chocolates or Wine so was so please to have something different . I was treated to a beautiful box of Luxury Chocolate Strawberries . The box they were presented in was so pretty , with pink tissue paper . I opened the box to see the most prettiest biggest tastiest decorated strawberries , Some White chocolate , Dark and Milk . 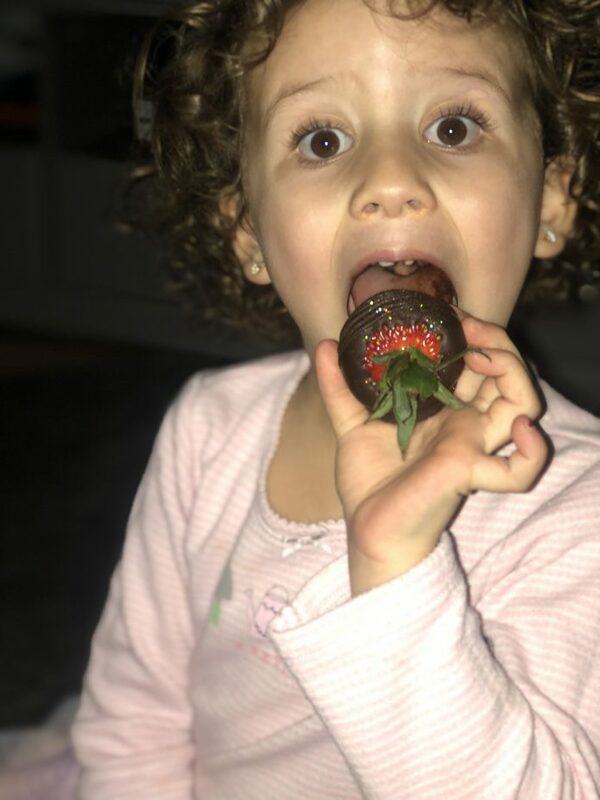 Not only did I enjoy tucking into these huge Chocolate Strawberries the whole family were selecting there favourite . Harper Obviously went for the White Chocolate Decorated in Pink and Sparkles . I couldn’t believe all the different varieties even a coconut decorated one .